You are here: Home / Great Deals / Google Chromecast Audio Just $25! Down From $35! 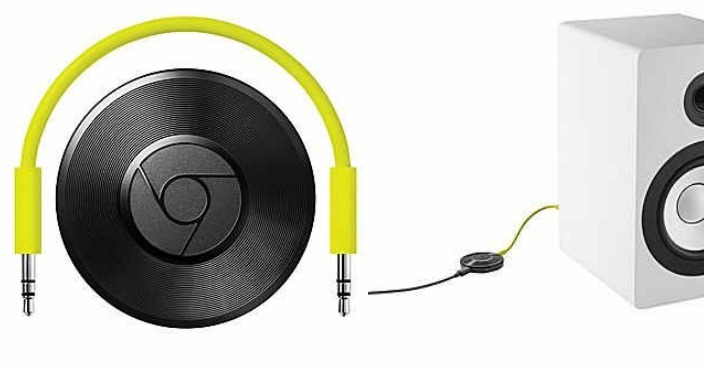 Google Chromecast Audio Just $25! Down From $35! Staples has this Google Chromecast Audio on sale for $25 (Reg. $35)! Chromecast Audio is a small media streaming device that plugs into the AUX input of your speaker, making your speaker Wi-Fi enabled. Once set up, simply use your iPhone®, iPad®, Android phone or tablet, Mac or Windows laptop, or Chromebook to cast your favourite music, radio stations and podcasts to any speaker in the house.